Taking care of my nails has never been a strong suit. I used to bite them until I was like 14 (the boy I liked told me off for it and that cured my regular biting). I still bite my nails every so often when one breaks off to try and even them out haha. Not that my nails have ever been brittle, but they flaked a lot. Until recently. I’ve been using L’Occitane handcreams for the past 4-5 weeks, because so many people have recommended it – beauty bloggers, normal people and experts alike. First I used the Pivoine Flora, then the Magical Leaves / Feuilles Magiques one, but then I moved onto the the Cherry Princess / Cerise Princesse. And after 4-5 weeks, I can really feel the difference in my hands.I always thought it was just a myth, like a thing that everyone said, a clever ploy of a placebo. But NO! It actually really does work.Not only does the L’Occitane Cherry Princess / Cerise Princesse make your hands smell absolutely divine with the softest hint of cherry, whereas the Magical Leaves / Feuilles Magiques handcream has a gorgeous citric scent. They make your hands feel super soft, which I’m sure you’ve noticed gets really important now as the surprising cold weather is drying out our hands like crazy.But even without the cold, I really enjoy moisturising my hands now as often as I can. I literally work 16 hours a day with the computer so my hands are typing away at a million miles an hour and constantly in use. They deserve some love. What would I do without them! For £8 from any L’Occitane shop or online, it’s really a great little buy and I know for sure I’m gonna go back to more! 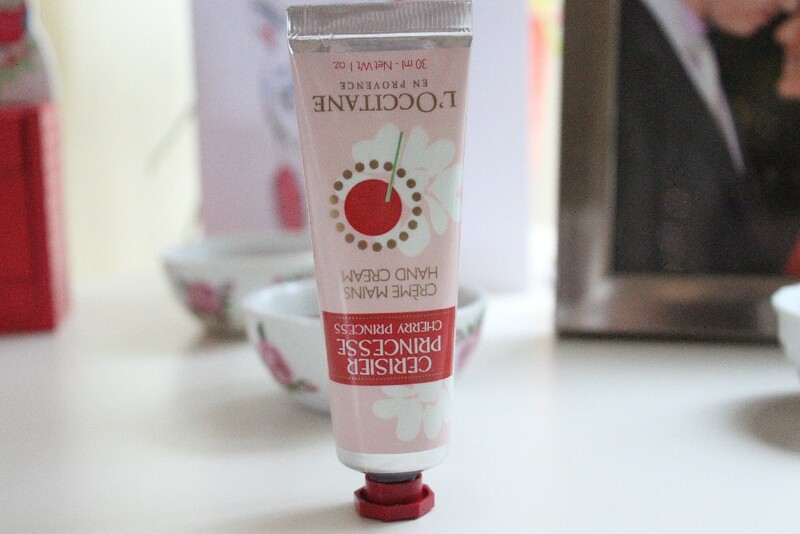 Have you tried the L’Occitane Cherry Princess or any others L’Occitane handcream? Or can you recommend a different brand? LET ME KNOW!! 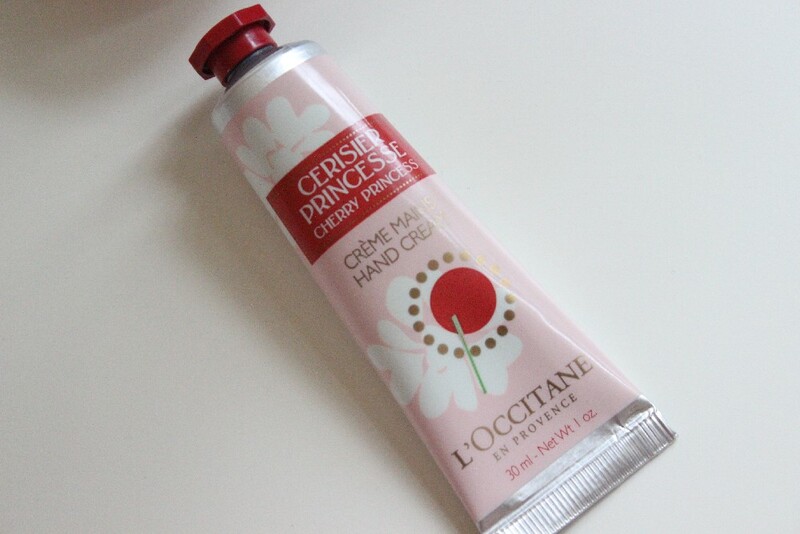 I looove L’Occitaine hand creams, Magical Leaves is my favourite but I want this one now! is the Magical Leaves one really LE/discontinued? I couldnt find it on the website and only vaguely remember them saying it was like a Xmas thing? I have their original hand cream on my bedside table. Their foot cream is also amazing. ohhh enjoy babe – you wont regret this one then! let me know how it goes! !